The government’s brutal response has only added fuel to the fire. Irreechaa is the most recent example of this. 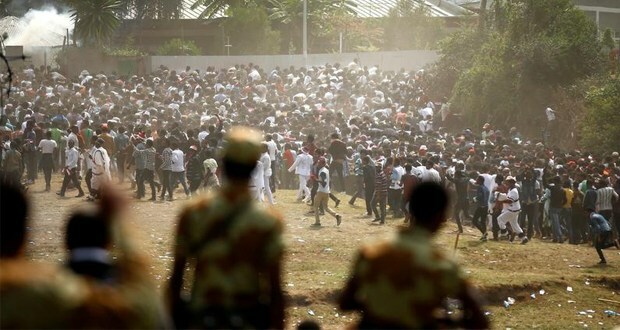 Within days of the massacre a wave of anti-government protests erupted across the country, mostly in the Oromia Region. People are coming out in larger and larger numbers. Fear is dissipating and giving way to determination. Many activists believe it is too late for reconciliation — that “the opportunity for dialogue was closed with Ireechaa”. The great Frantz Fanon explained that, “we revolt simply because, for many reasons, we can no longer breathe.” In Ethiopia, the government’s actions have left many people with no other option but to fight. It is a country that has experienced much civil violence in the past, and is reluctant to return to it. However, the people’s patience is limited. Already, protestors are beginning to take more desperate measures. Some have torched foreign companies to send a message to the government and its foreign investors that their concerns and frustrations can no longer be brushed aside. From Eritrea, Dr. Berhanu Nega — who once ran as part of an opposition party in the 2005 elections — is preparing for a full-fledged guerilla war.